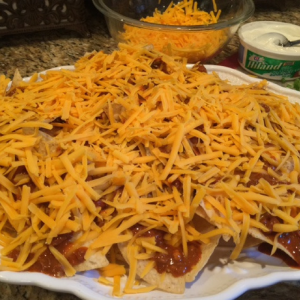 Did Someone Say Chili Cheese Nachos … Diva-style? 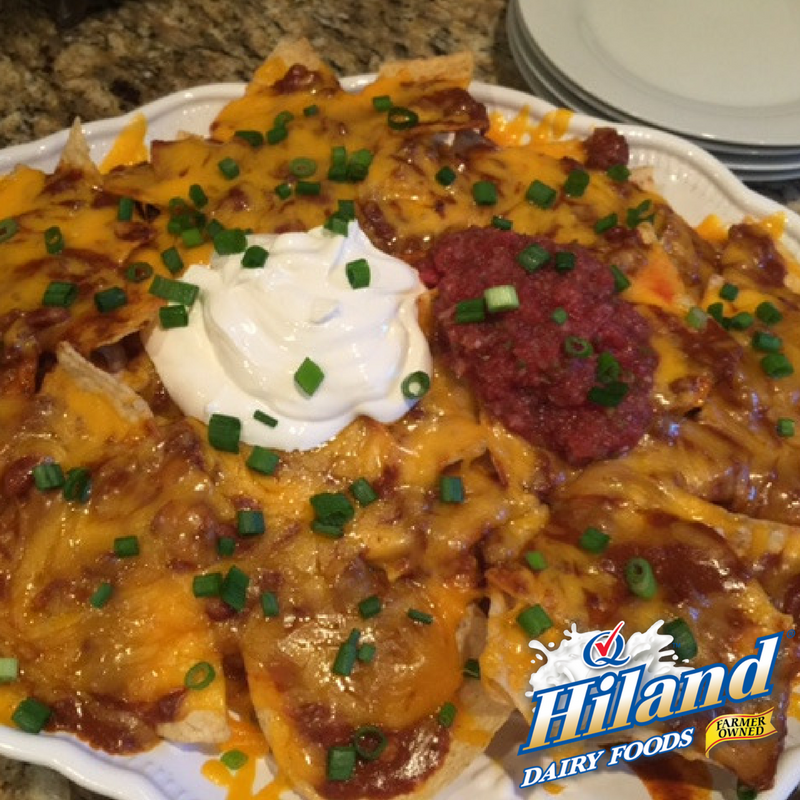 When I think of nachos, I think of beef-and-bean-laden chili, lots of Hiland Dairy Shredded Cheddar Cheese, and a whole lot of hands digging into the mountain of goodness. These Macho Nachos are the first to disappear from my party buffet. Let’s get cooking! Turn your oven on a low broil setting. 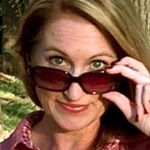 In a small saucepan, warm the chili over medium-low heat. After chili has heated through, remove from heat. 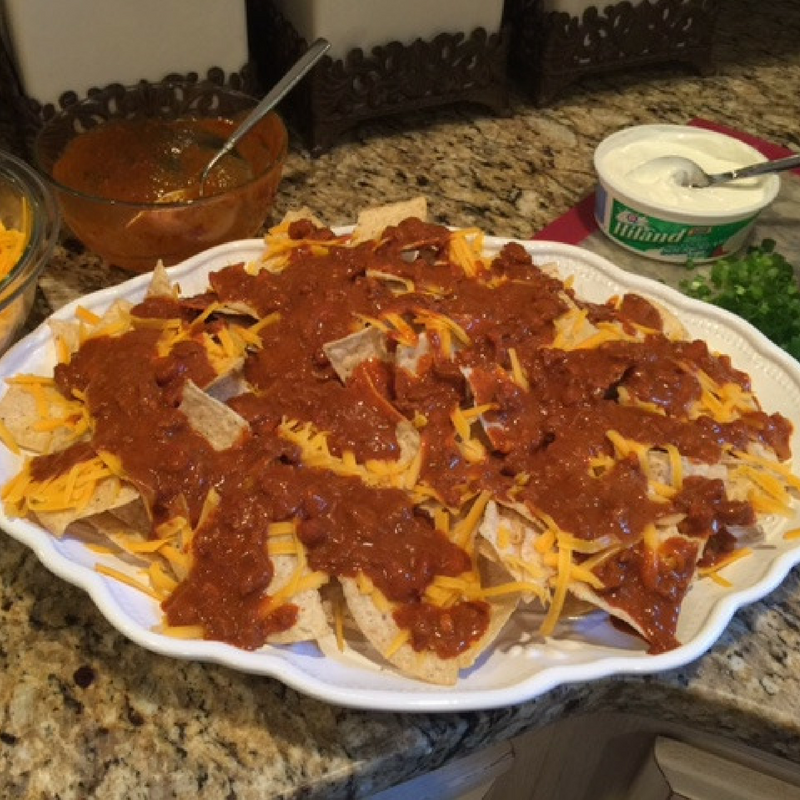 Spread the tortilla chips on a large, oven-safe platter. Sprinkle 1/2 cup of cheese over chips. Next, top with chili using a large spoon to evenly cover the cheese and chips. 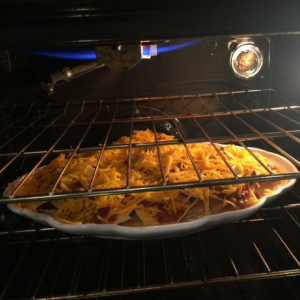 Sprinkle the remaining cheese over top. Place the nachos on the middle oven rack and broil on low until the cheese is just melted, about 3 minutes (be careful not to overcook the cheese). Top with chives, sour cream and salsa. Serve warm. 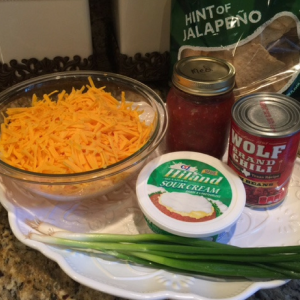 If you can’t find tortilla chips with a hint of jalapeño, or if you like your nachos extra spicy, simply mince a small jalapeño pepper and sprinkle it on top of the chili before adding the remaining cheese. You’ll love the extra kick!